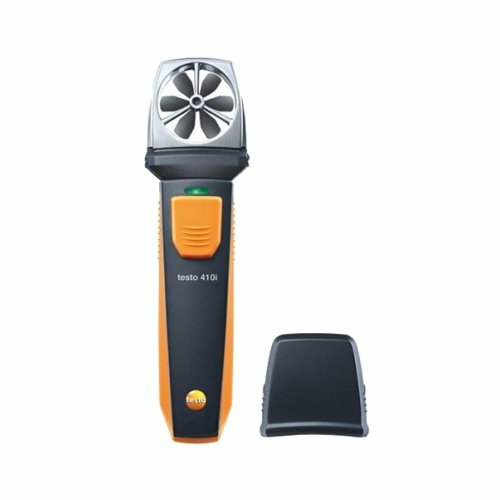 The Testo 410i vane anemometer is part of the innovative Smart Probe range for use with smartphones and tablets. The handy Bluetooth® vane anemometer, in combination with a smartphone or tablet, is ideal for measuring air velocity and temperature at air outlets and ventilation grilles. Even measuring and adjusting the volume flow is easy. 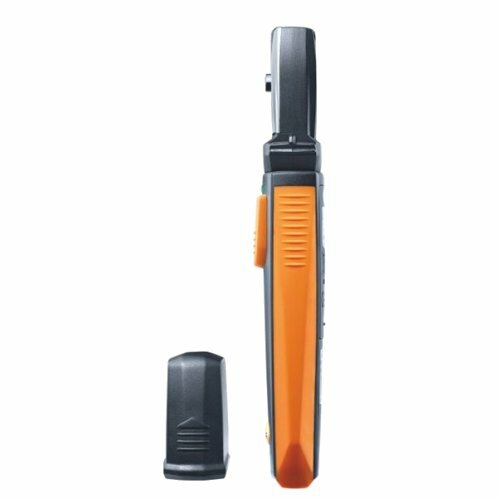 The Testo 410i gives you huge flexibility, so you can adapt to any unplanned measuring requirements in your everyday work. Measurements are transmitted to the smartphone/tablet for easy viewing with the App. All measuremens are presented either as a diagram or in tabular form which can then be sent directly as PDF or Excel files. 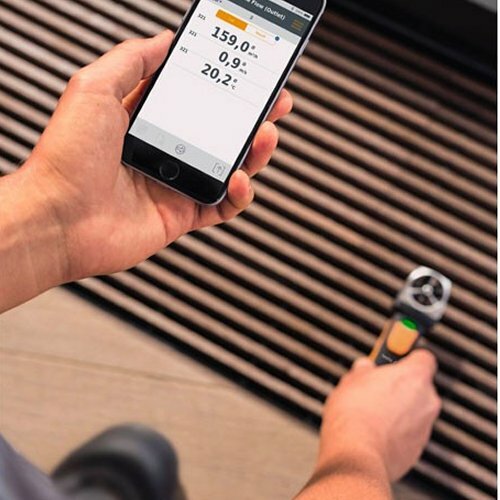 The operation of the measuring instrument as well as the display of the measurement values take place by Bluetooth® using the Testo Smart Probes App on your smartphone or tablet independently of the measurement location.